Measuring Vitamin D levels only became available about 15 years ago and until then there wasn’t much concern around its levels. Once the studies and testing began, it became apparent that a Vitamin D deficiency was common and concerning among the general population. One of the country’s leading researchers on vitamin D, Dr. Michael Holick, reports that at least 50% of people are at risk for vitamin D deficiency. His claim is further substantiated by The Center for Disease Control and Prevention (CDC) which states that 32% of people in the United States are vitamin D deficient. The CDC goes on to say that this estimate is probably low because the recommended levels are not sufficient to promote optimal health. The good news is exposure to sunlight can make up the difference that your diet alone doesn’t provide. It is important to note that sunscreen will prevent your skin from absorbing Vitamin D from the sun and this is just one reason the Vitamin D deficiency rates are climbing. A vitamin D deficiency is often misdiagnosed because its symptoms can mimic other ailments. It is important to become aware of what may lead to a vitamin D deficiency so you can ask the right questions of your wellness provider. 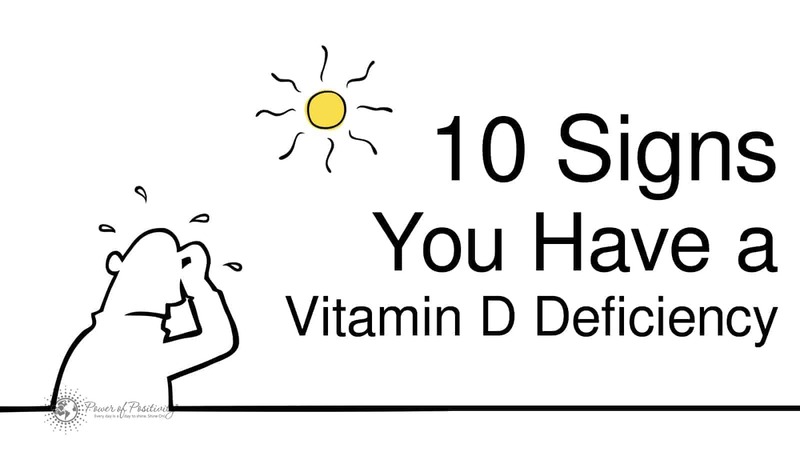 Here are 10 signs you may have a vitamin D deficiency. Your body fat collects vitamin D, so your body can process it into its usable form. The more fat you carry, the more vitamin D you will need. 2. You have high muscle mass and low body fat. Similar to being overweight, too little body fat hinders your body’s ability to collect the necessary amounts of vitamin D, this time because you don’t have an adequate body fat supply. 3. You have dark skin. The pigment in your skin acts as a natural sunscreen preventing your body from absorbing vitamin D from the sun. The darker the skin, the more pigment in the skin which means more time in the sun is needed to produce adequate levels of Vitamin D.
As you get your older your skin doesn’t produce as much vitamin D from exposure to the sun and your kidneys are not as efficient in converting it for use in the body. 5. You are experiencing aches and pains. A vitamin D deficiency works against calcium getting to your skeletal system and as such might be the cause of some of your common aches and pains. 6. You sweat excessively from your head. An excess of sweat is often one of the first and classic signs of a vitamin D deficiency. 7. You live in a geographic location with long periods of darkness. If you live in the extreme north or south, and there are long periods without sunlight or your exposure to the sun is limited, be aware that your vitamin D levels may be suffering. This might also be one explanation for the prevalence of certain conditions in certain geographic regions. 8. You are experiencing a decrease in mood. A 2011 study stated that exposure to the sun and bright lights have a direct correlation to elevated mood levels. It found that the participants with the lowest levels of vitamin D were eleven times more likely to show signs of depression. 9. You suffer from digestive problems. Digestive problems can affect your body’s ability to absorb fat that directly impacts your levels of fat-soluble vitamins such as vitamin D.
10. You are never outside without sunscreen. There is a conflict with many regarding sunscreen and vitamin D. Should you expose your skin to the sun or use sunscreen which will prevent vitamin D absorption? There are studies that support the use of sunscreen and studies that support the need for some skin exposure to the sun. For the purpose of this article, just know that always using sunscreen while outside may actually lead to a vitamin D deficiency. A vitamin D deficiency might be common but it is relatively easy to get under control. Just know that more vitamin D is not always better. 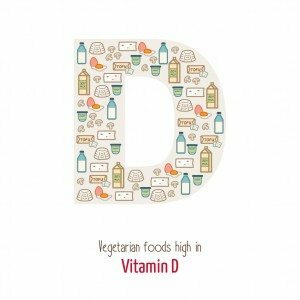 Higher than recommended vitamin D levels do not show any benefits and, in fact, can lead to premature hardening of the arteries. The best course of action, if vitamin D is a concern, is to consult your wellness provider. Becoming aware of your vitamin D levels is important and will help you devise a nutrition plan that will support your overall health goals. Note: This article is intended for informational purposes only and is not meant as a diagnostic tool. If you think you might be vitamin D deficient or are experiencing any unexplained symptoms, please consult your wellness provider immediately.